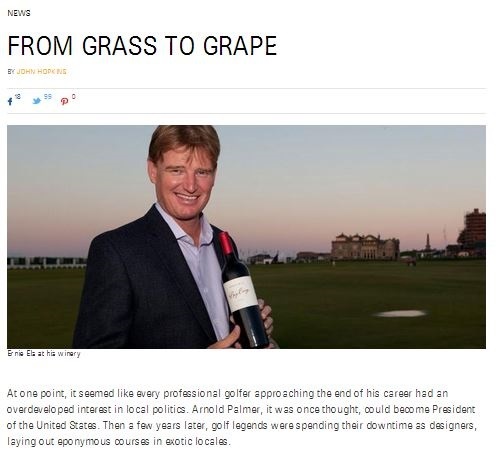 Ernie Els is no recent arrival to wine – it was 15 years ago that the golfing great, a four-time majors winner, became a vintner in his native South Africa. Veteran golf writer John Hopkins explores what lured Els and other golf legends into the wine business in a featured article on the Grape Collective. See it here.